The moderate hype surrounding this relatively low key crime drama is that it was the final performance of acclaimed actor James Gandolfini, who rose to iconic status in the hit TV show The Sopranos playing charismatic mob boss Tony Soprano. Add to this the pairing of him with current hot property Tom Hardy (Mad Max: Fury Road) and this was a more than alluring prospect for an evening’s entertainment. Hardy plays Bob, a softly spoken, likable bartender at a local establishment that is used as a ‘drop’ for mob money that’s then handed over to a local Chechnyan gang. Gandolfini is Marv, former owner of the bar and cousin to Bob. Following a hold up one night however, Bob & Marv find themselves in debt to the gangsters and must figure a way of getting the stolen money back. At the same time Bob befriends a local girl who has more than a few problems herself. As the final role for Gandolfini, this offered up little that wasn’t seen in The Sopranos and isn’t much of a stretch for the actor, even though he clearly still had presence. His character is also a little confusing and I found it hard understanding some of his actions. 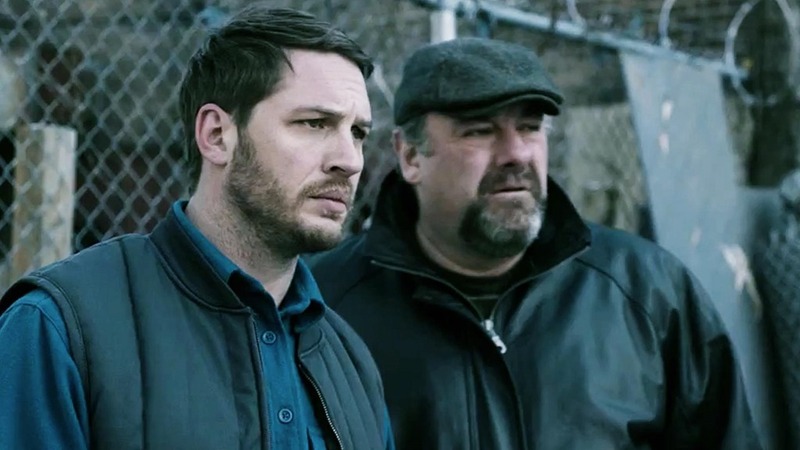 Hardy fairs better and clearly it’s his film and he again brings to the table a quiet, moody character that he seems to do in every film, with that hint of underlying rage. Noomi Rapace appears as the troubled love interest and is decent also, with her friendship with Bob proving the backbone of the story. For a crime drama this was less about people getting whacked and more a character-piece, but didn’t stand out in any particular way despite a screenplay from famed author Dennis Lehane (Shutter Island). Enjoyable at times and has a good ending, but overall a little too lightweight for it’s own good. This entry was posted in Drama Reviews, DVD, Reviews and tagged crime, Dennis Lehane, Gangster, James Gandolfini, The Drop, the mob, Tom Hardey by Craig M. Bookmark the permalink. Good review Craig. The story was pretty conventional, but man oh man, the cast was amazing. I don’t mind a slow burning film if it has a good pay off but I feel like this just didn’t have the bang to justify its meandering pace. Couldn’t have put it better myself. Good story and not bad performances, but very little ‘oomph’.